David Burke has worked with some of Australia’s leading Legal, Banking, Transport and Government organisations on communications, conflict resolution, leadership and productivity. 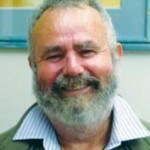 In 1994 David established a weekly public education program in Brisbane about the Enneagram, which has now been attended by more than 37,000 people over the past 23 years. Last year he established a General Medical Practice that focuses on nutritional, immune and psychological support which he manages at Natural Bridge, Queensland. David facilitates ‘panels’ of expert witnesses; real people offering heartfelt insights and reflections, to demonstrate the Nine Personality Types and their impact on work, life, spirituality and relationships. To view David’s upcoming courses click here and Search David Burke.